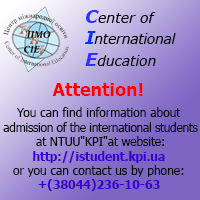 National Technical University of Ukraine 'Kyiv Polytechnic Institute' ranks first nationally, and is world's recognized in the number of graduate programs. Every year since 1999, according to the results of the 'Rank of Higher Educational Institutions (Universities) of Ukraine', NTUU KPI was recognized the best Technical and Technological University, and was awarded with the annual awards. In 1998 NTUU KPI became a winner of the Ukrainian Competition 'Golden Fortuna', the National Popularity and Quality Rank 'Fortuna Wheel', and a winner of the 'Crystal Horn'. NTUU KPI was awarded the Diploma in the nomination 'The Leader of the Domestic Higher Education'. In 1986 KPI was awarded the Gold Medal for the outstanding contribution to the strengthening of peace and friendship between people by the the Peace Fund. In 1984 KPI was awarded the High State Award of Poland the Commander Badge of an Order of Merits. In 1972 KPI was awarded an Order of the Republic of Bulgaria for the great achievements in the personnel training for the national economy of Bulgaria and for the improvement of the higher education in Bulgaria. In 1948 KPI was awarded an Order of Lenin, one of the greatest award in the USSR, for the achievements in the education, and in the personnel training.